If you are like me, you can’t get enough grilling in the summer. What better way to hang out in the great outdoors, keep your kitchen cool, and get great tasting food? 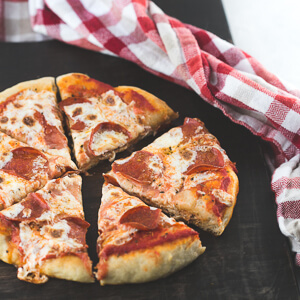 Grilled naan bread pizza is an easy crowd pleasing weeknight dinner! 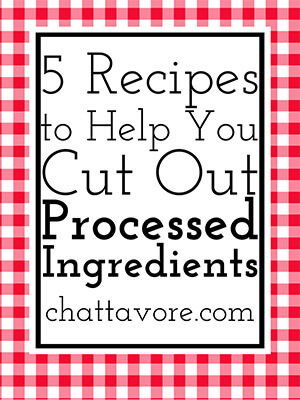 Click here to save this post on Pinterest! Who’s Responsible for the Grill? I used to fall squarely into the trap of “men grill and women cook in the kitchen”. I just started grilling last summer, after almost 16 years of marriage. One day I just decided that it was summer and I wanted grilled food and since Philip’s schedule is too crazy for him to do much grilling I was going to have to do it myself! Our grill went kaput at the end of the summer last year so we just got a new one. Cook’s Illustrated recommended the Weber Spirit E-310, but since it is just the two of us we decided that we didn’t need three burners. We went for the two-burner Weber E-210 instead and it has been great so far! Speaking of Cook’s Illustrated, I got an America’s Test Kitchen book, Master of the Grill, to help me with cook times and ideas for the grill. I am sure that you will see me refer to it plenty of times over the summer! I have been putting everything I can think of on the grill. I make it a goal to never turn on my oven from May to October because it is so hot here. Grilling helps me accomplish that goal (I occasionally break the rule if I need to bake something in a pan that is too big to fit in my countertop oven). Costco sells giant packages of naan bread in the bakery section for just a few bucks and I love the stuff (if you happen to think ahead, though, this is an amazing recipe for homemade naan bread). I prefer it to storebought pita bread for dipping into hummus, and of course it is amazing with homemade curries (this butter chicken from HalfBaked Harvest is one of my personal favorites). One of my very favorite ways to use this naan bread, though, is grilled naan bread pizza. I mean, what’s not to love about something that is (a) pizza; and (b) thrown together in less than 10 minutes on the grill? As in, you literally assemble it on the grill? Mine has grape tomatoes and basil, but you can customize this anyway you want. Get your ingredients ready before you put the pizzas on the grill. Once those bread rounds hit the grates, this is all going to go very quickly! I like to put everything in individual bowls and transport them on a cookie sheet to the grill. Use plenty of oil! I clean my grill with a brush once it gets hot then I oil the grates with a wad of paper towels held on long tongs. Then I oil the naan bread too! For extra non-stick insurance, use foil or parchment paper. For foods that might easily fall apart or that have toppings, I like to put a little square of foil or some parchment on the grill. The food will easily lift off of that without leaving behind half of your dinner! This post contains affiliate links. This means that if you click a link and make a purchase on Amazon, I will receive a small commission. This does not affect the cost to you. For more information, please see my disclosures. Thank you for supporting my blog! 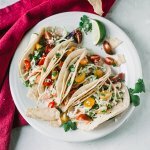 Shared on Meal Plan Monday on Southern Bite and The Weekend Potluck on The Country Cook! Preheat the grill to medium heat for fifteen minutes. Use a grill brush to clean the grates. Hold several paper towels folded or wadded in long grill tongs. Dip the paper towels into the canola or vegetable oil and thoroughly oil the grill grates. Brush both sides of each piece of naan bread with olive oil. Place 4 sheets of aluminum foil or parchment paper on the grill and place a piece of naan on each piece. Cover and grill for two minutes. Flip the naan bread rounds. Divide the mozzarella and halved tomatoes among the naan rounds. Cover and grill for an additional two minutes or until the cheese is melted. Use a large grill spatula to carefully remove the pizzas from the grill. Top with the basil, slice, and serve. Prep time includes active time to top the pizzas while they are on the grill.